As the smallest gauge of shotgun shell available, the .410 gauge allows many single-shot firearms in the .45 Colt caliber to shoot without modification. Because of the .410 gauge’s small size, it has very low recoil, often better for young shooters. 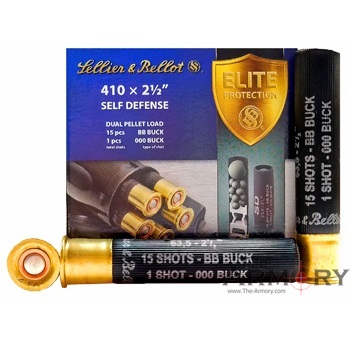 Also called .410 bore, the .410ga shell has a length of up to 3 inches.